C A N Y O N is a solo show of new works by San Francisco and Los Angeles-based painter and designer, Serena Mitnik-Miller. 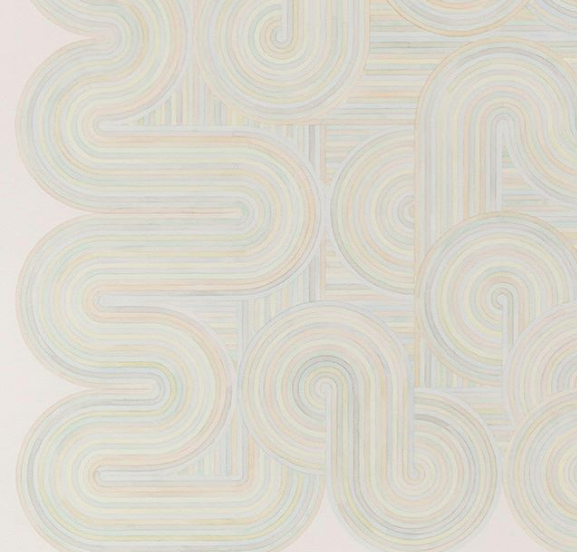 Through organic abstraction and pattern-based work, Miller’s subtle use of color and movement creates a subconscious interpretation of the ocean, nature and California coastline aesthetic. C A N Y O N will see the artist return to San Francisco with a series of watercolor on paper paintings, each painstakingly conceived with multiple layers of color and gestures on each work. The artist notes that the colors used in this particular exhibition are inspired by Topanga Canyon, the region where the artist resides in Southern California. The exhibition will open on June 1st 2018, and run through July 6th, 2018 at Chandran Gallery in San Francisco. setting, but individually become subtle reminders of the artist’s hand on each work. color and concentric shapes where structures break apart, bubbles stack, and pyramids multiply. habitats, often become symbolic permanent points of reference.